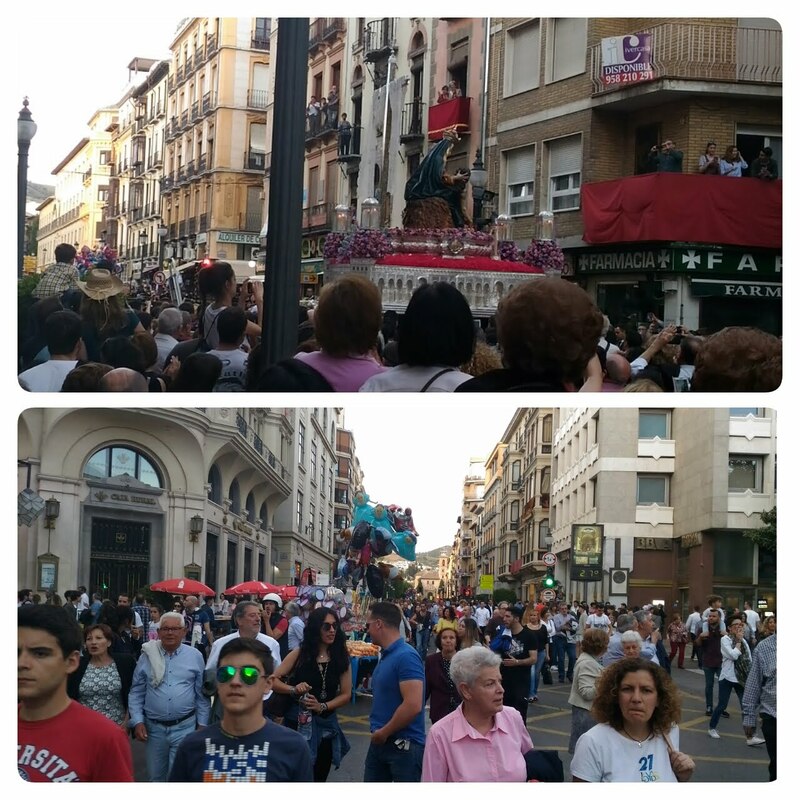 Arrived in Granada after a night in Madrid around midday. Decided to stay 2 nights here before the walk on Monday to rest a little and enjoy the place. It has been 24 years since I was last here and this is a wonderful city to take a break. The sign outside my hostal told me to go to hostal Duquesa which I think runs a chain of different hostals here. 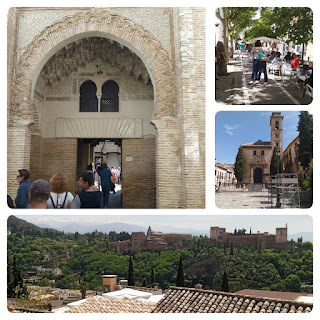 Too early to checked in, I left my backpack and walk up Albayzin to see the beautiful panoramic view of Alhambra, the last Moorish stronghold before the final re-conquest by Queen Isabella. At a plaza, tango music playing, a couple actually stepped up and dance the tango. Not sure if the musician or the couple will get the money. The Albayzin has changed since I was last here. There used to be many white washed houses with flowers in the balcony and decorative plates on the wall. They are gone now and have been replaced by apartments for tourist, some empty. Many residents probably moved to the other side of the city. Sad. 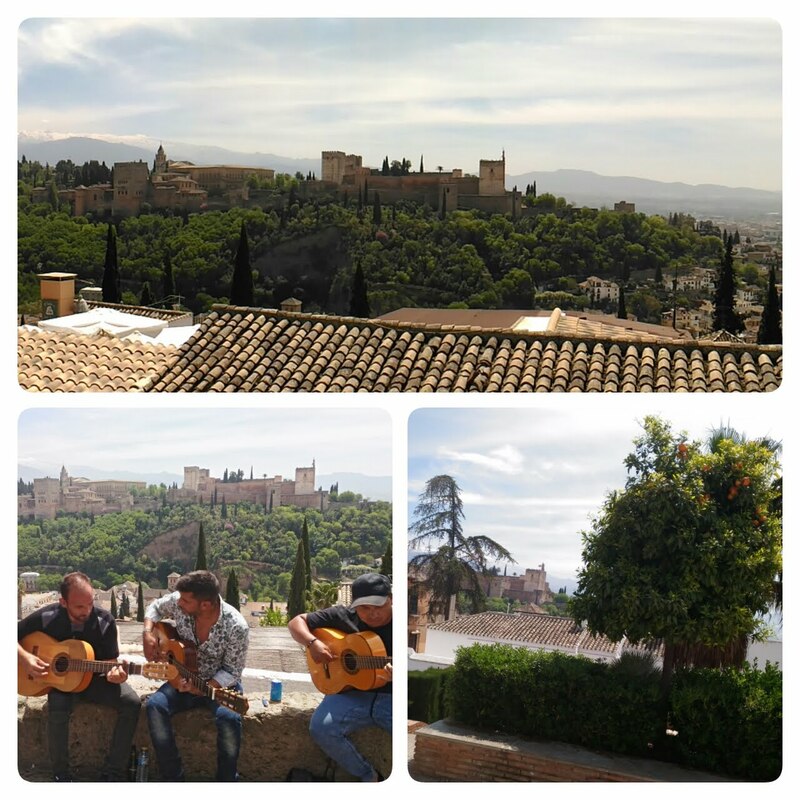 Four street musician plays the Flamenco at the Mirador de San Nicolás. With that view and music what more could one ask? Around them, hippie type with nose ring and North Africans peddle their wares. I could stay there all day if not being baked by hot sun, a reminder that I will be getting more of it when I start walking. It's so haunting this view of Alhambra with the snow capped Sierra Nevada (yeah, the original one) in the back drop. Granada is different from it's other Andalucian cousins, Cordoba and Sevilla. I feel many of its streets narrower, dirtier with lots of graffiti, the new mainstream shops, cafes, and shops selling knick knacks all intertwined in one. 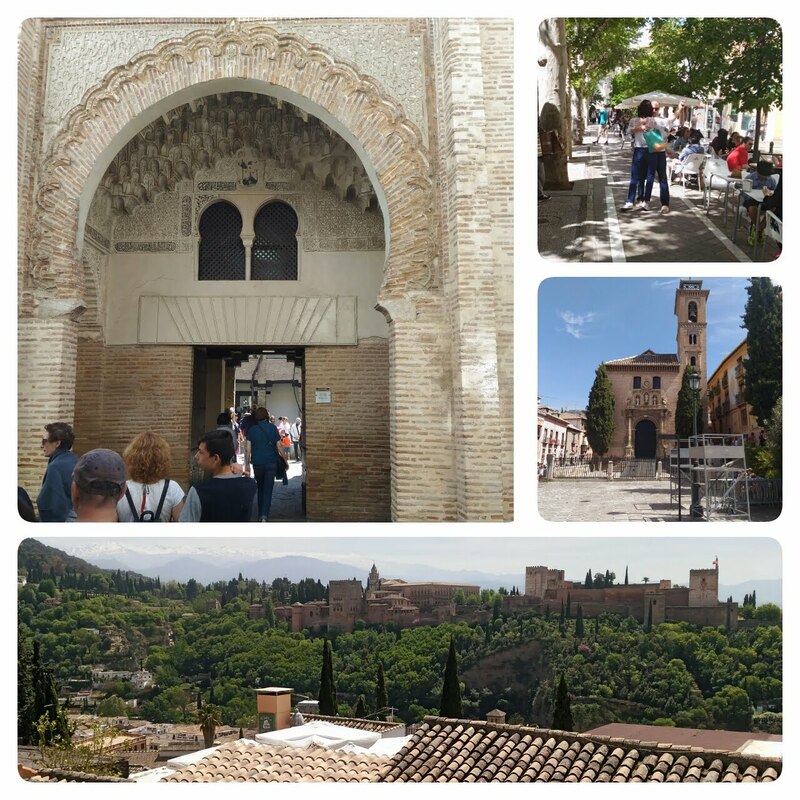 Still, heaps of tourists are drawn into this place thanks to the history and Alhambra palace. The shops are opened today.... and even a shoe shop. Nah, my buddy (Quechua shoes) will enjoy the Camino with me one more time. Common in all Andalucian cities are those Moorish houses, some turned into hotels or restaurants. 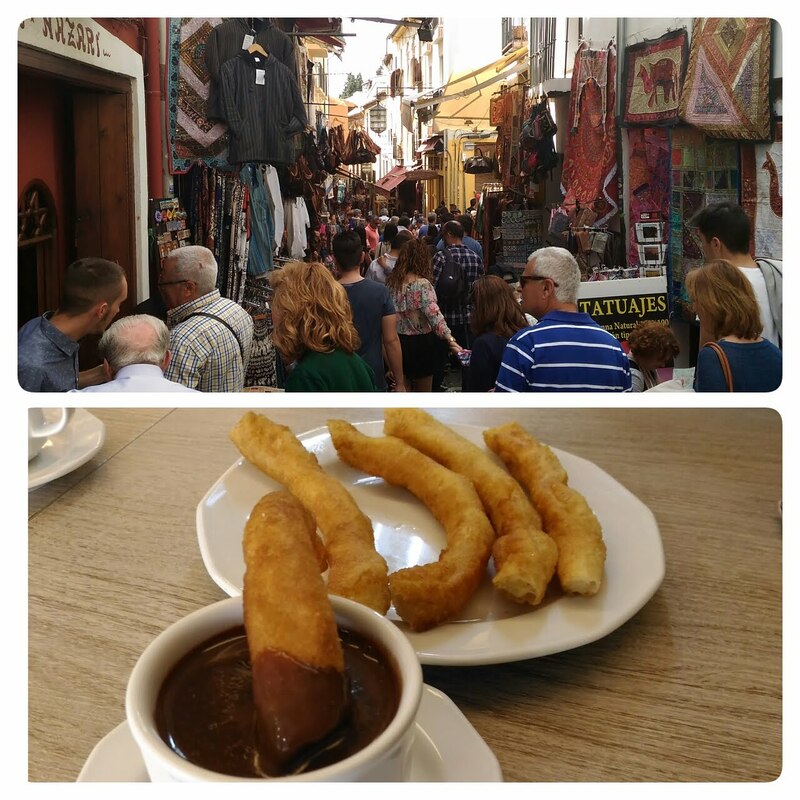 One narrow street with tea houses, henna tattoo, leather goods and spices makes one thinks they are in North Africa. I think there used to be many more such streets in the past. At 3 pm back to hostal Duquesa and given the keys to the room, a sub-hostal a few hundred meters away. The Wi-Fi there is not working and there was no way to fix it until Monday! Fine, I will just use my local SIM data/cafe/main hostal instead. Shower, washing (the Andalucian sun dried them within the hour, gulp!) and a little siesta then more walking around in the evening. Found a churroteria for some churros con chocolate. Later a Semanta Santa procession. No way to escape it this week. Will be wearing my Crocs the next 2 days, my feet already thanking me. So nice to not have to wake up early tomorrow.